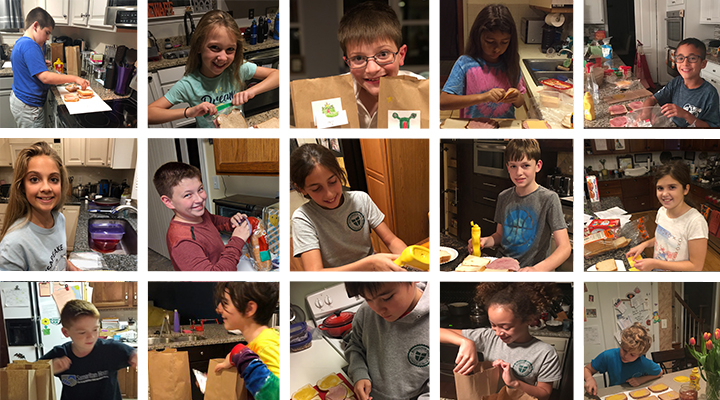 On a designated Friday each month, two grades at Monsignor Slade prepare brown bag lunches for the homeless via Happy Helpers for the Homeless. Our fifth and sixth grade families donated 200 lunches to be delivered to Happy Helpers over the coming weekend. It is within Monsignor Slade’s mission to help our students develop hearts for service through our partnership with Happy Helpers for the Homeless to serve our local community. Happy Helpers distributes brown bag lunches to homeless men and women in Baltimore. The Archdiocese of Baltimore Department of Schools has declared the 2018 - 2019 school year a Year of Service. Monsignor Slade Catholic School has a long-standing tradition of service to both our local community, the national community, and the global community.